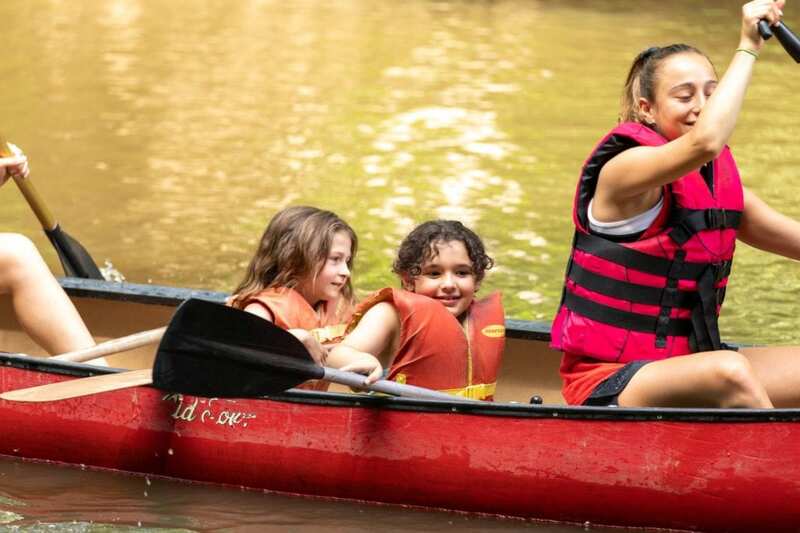 Camp Riverbend is located along the gentle Passaic River in Warren Township New Jersey. 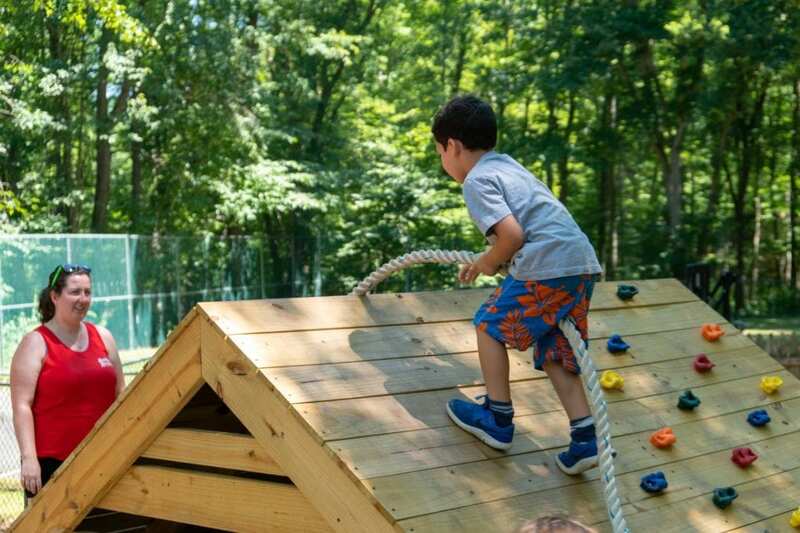 With approximately 30 acres, Camp Riverbend has shady woods, open fields, nature trails, a wetlands sanctuary and a variety of athletic fields. We are very proud of our exceptional swim program. 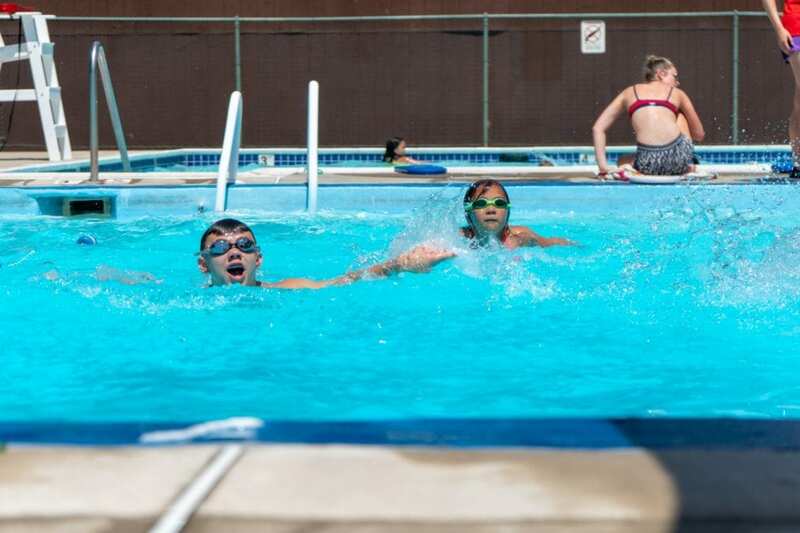 Swimming is one of the most important skills to be learned at camp. 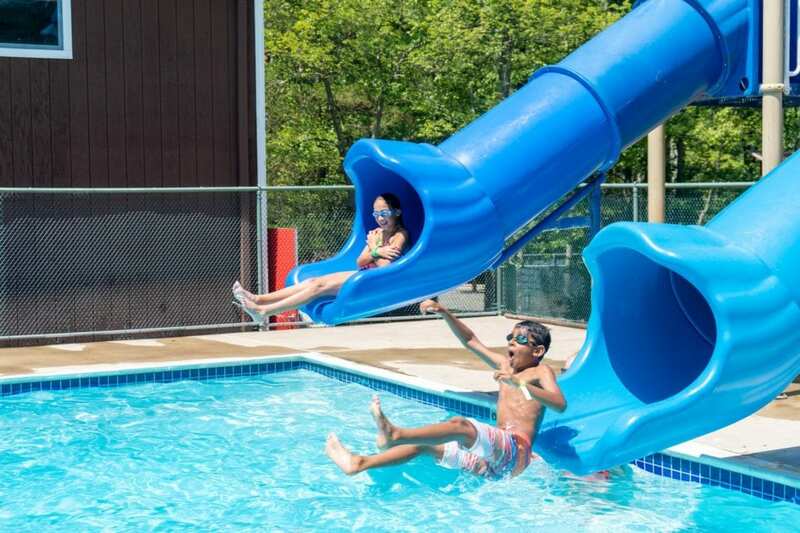 Our four heated, crystal-clear pools are designed for teaching campers at all levels. 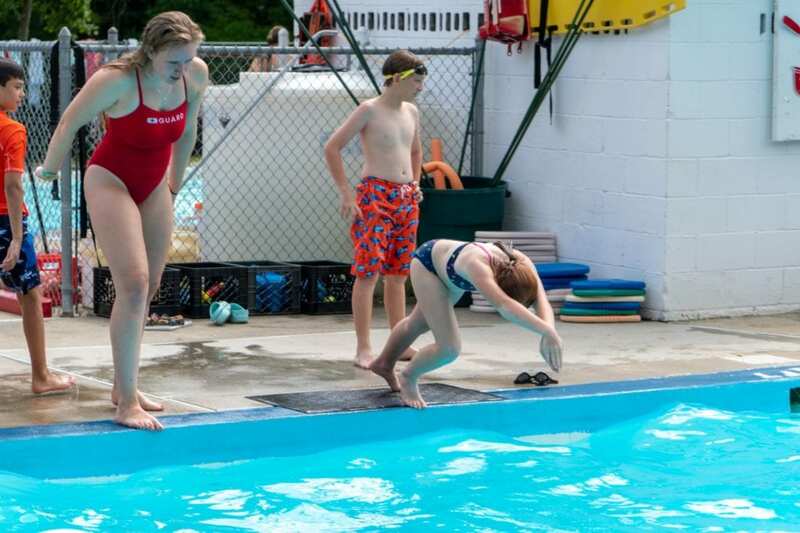 The pools go from a depth of 1 foot to 11 feet so everyone feels comfortable. 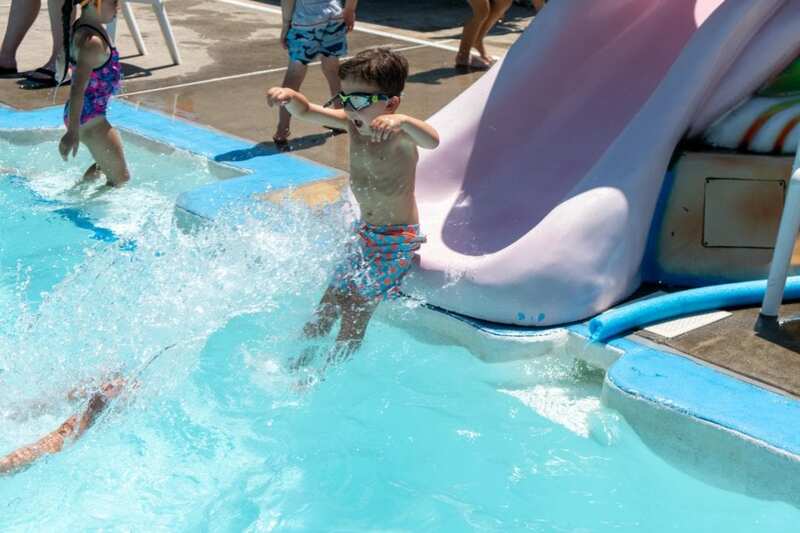 Campers enjoy swimming twice a day, in the morning for instruction and in the afternoon for “free swim”. Our experienced staff of lifeguards and water safety instructors supervises the waterfront. 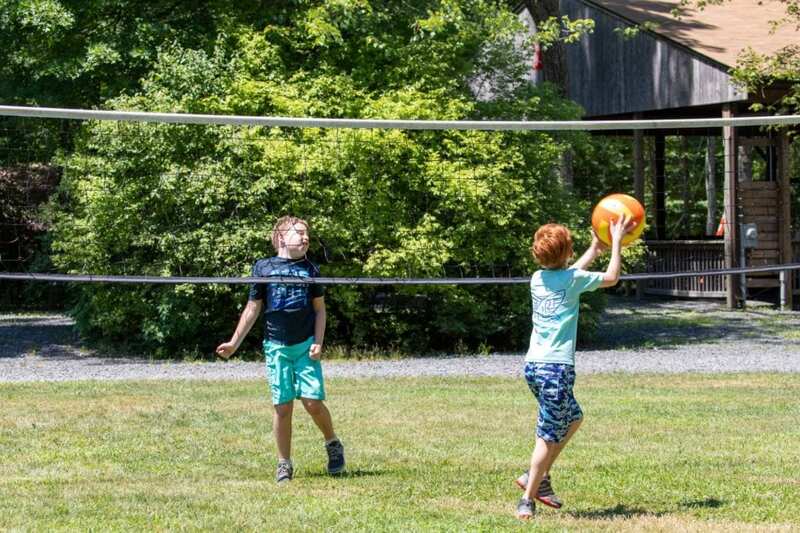 At Camp Riverbend our campers enjoy a complete sports program that emphasizes learning new skills, sportsmanship and team cooperation. 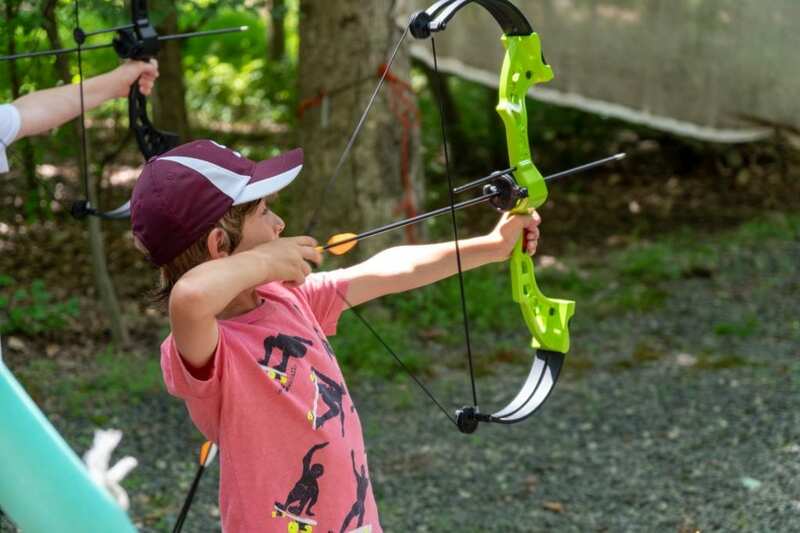 Our sports programs help campers discover new abilities and gain a sense of achievement and success in whatever they try. Coaches oversee and instruct sports activities in camp. 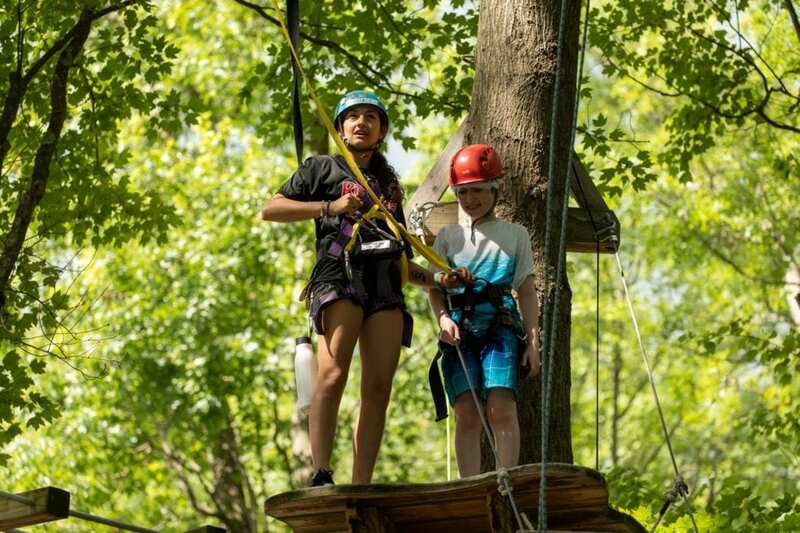 Our high ropes challenge course is a very popular way to teach and build trust, strong self-esteem and empower campers. 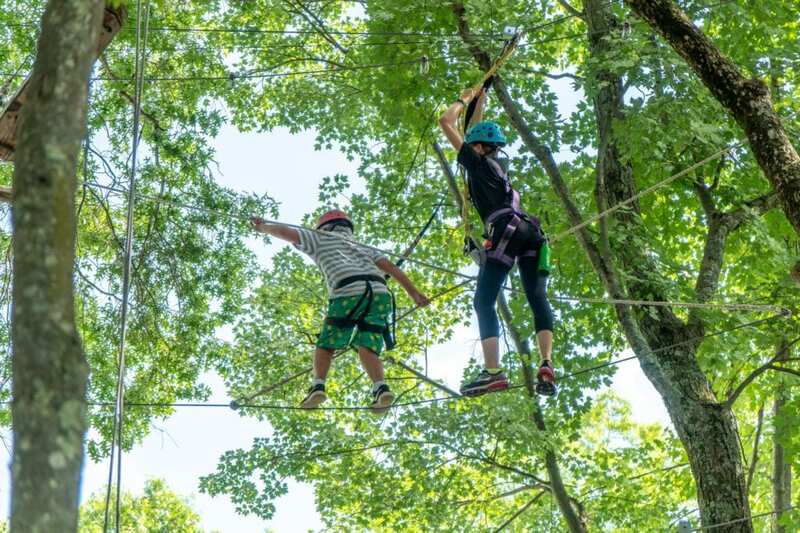 New in 2018, Camp Riverbend now has mid-level ropes, too! 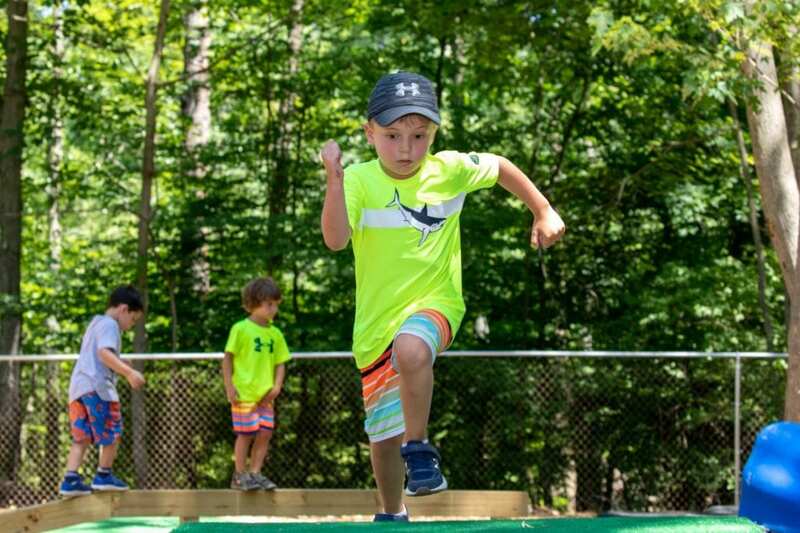 Campers ranging in age from pre-school through 8th grade can challenge themselves on our paved pedal kart track or can go “off-road” on our outdoor track through the woods. 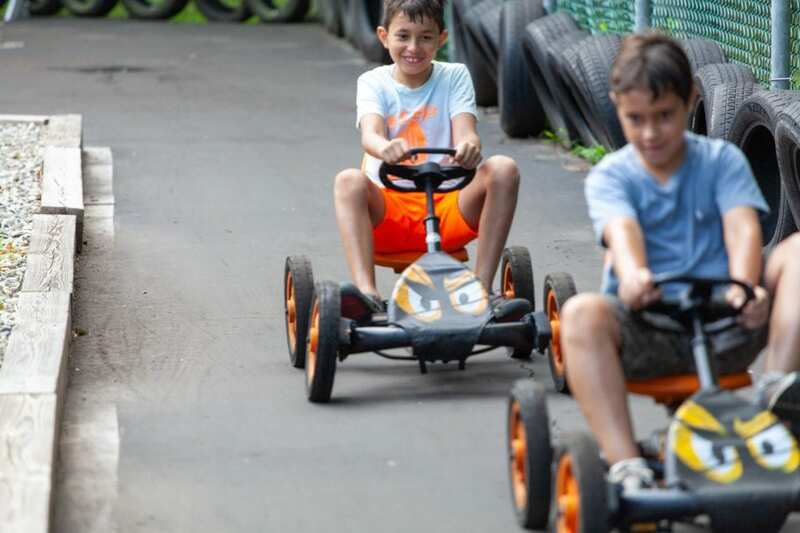 We have pedal karts of all designs and sizes that look like go karts but are pedaled like a bike. 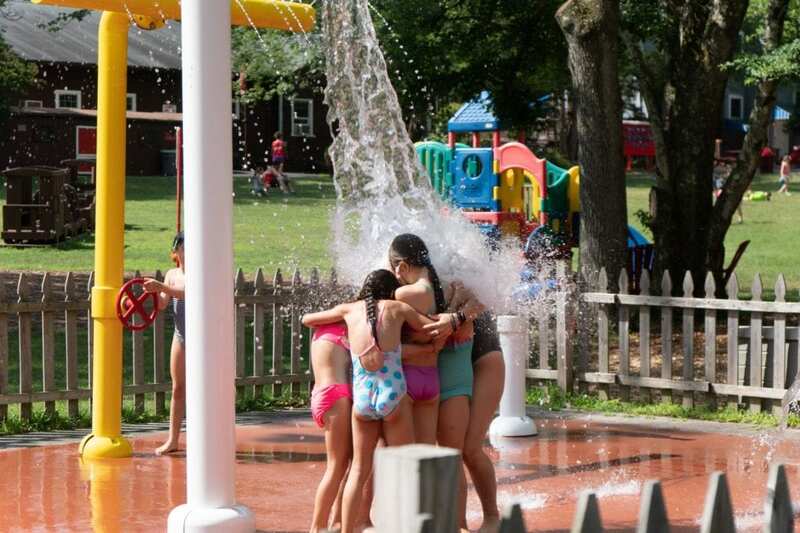 Campers just love our water spray park! The unique water structures are designed for creative fun with elements that pour, dump and spray water. 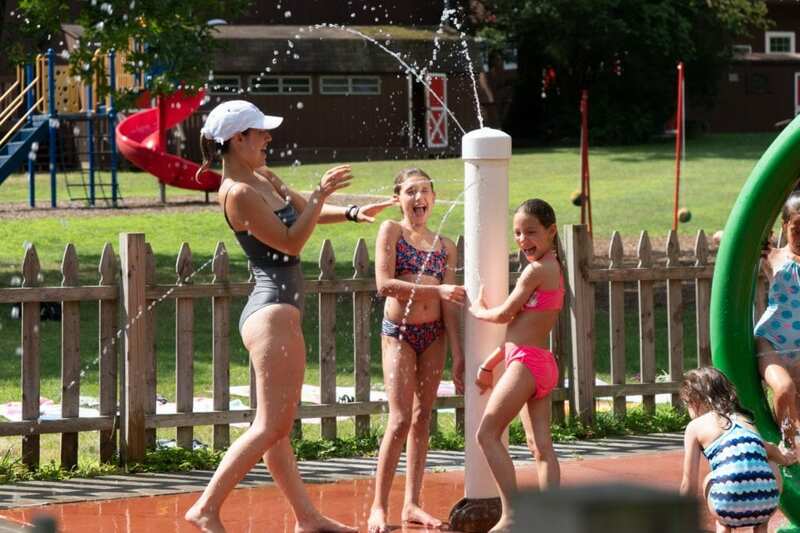 The Spray Park is a fun way for campers to cool off on hot summer days! 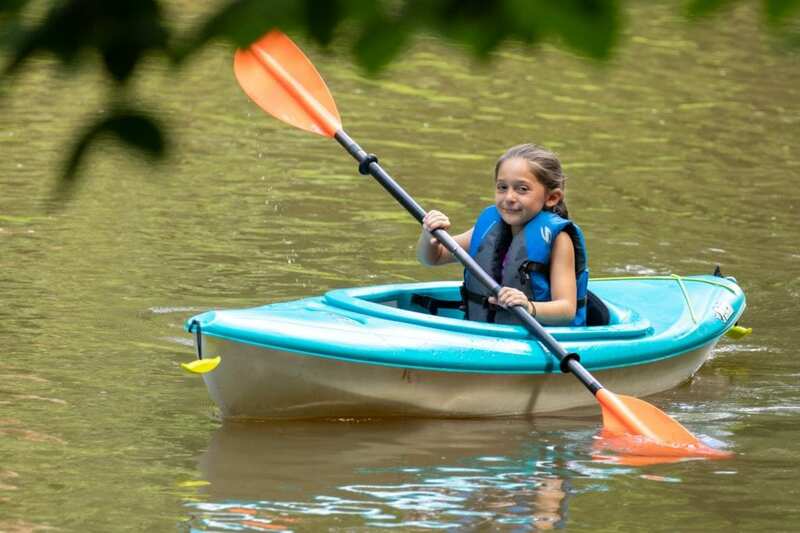 The gentle riverbank of the Passaic River makes a great area to set our canoes and kayaks into the water, where all of our campers learn the fundamentals of safe boating from certified instructors. 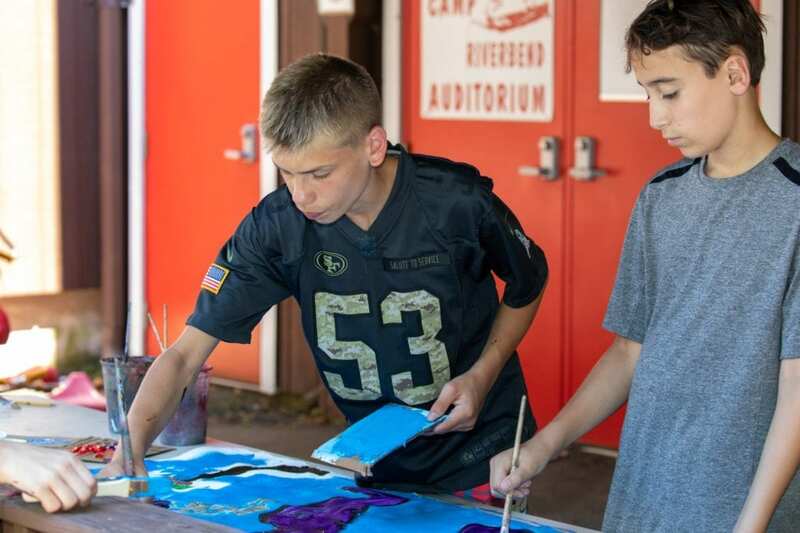 At Camp Riverbend we are proud of our extensive Arts and Crafts offerings. 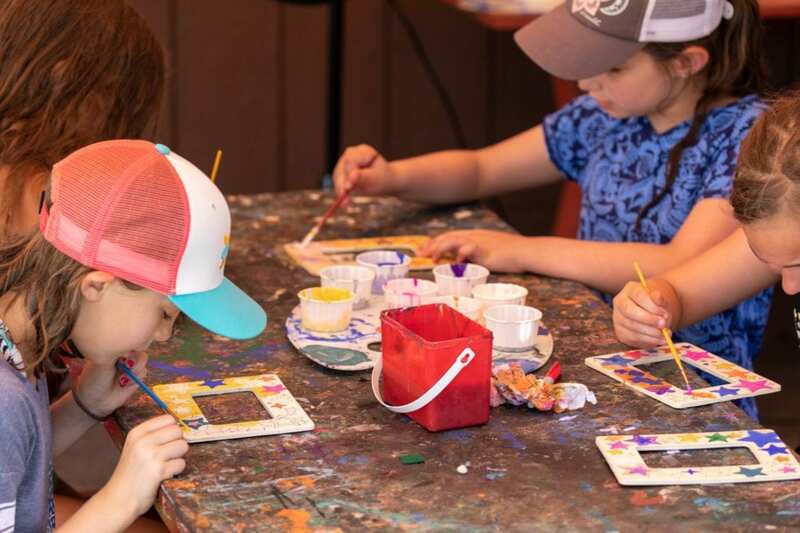 Campers can express their individuality and creativity through arts & crafts, ceramics, pottery, jewelry making, lanyard and woodworking lessons. 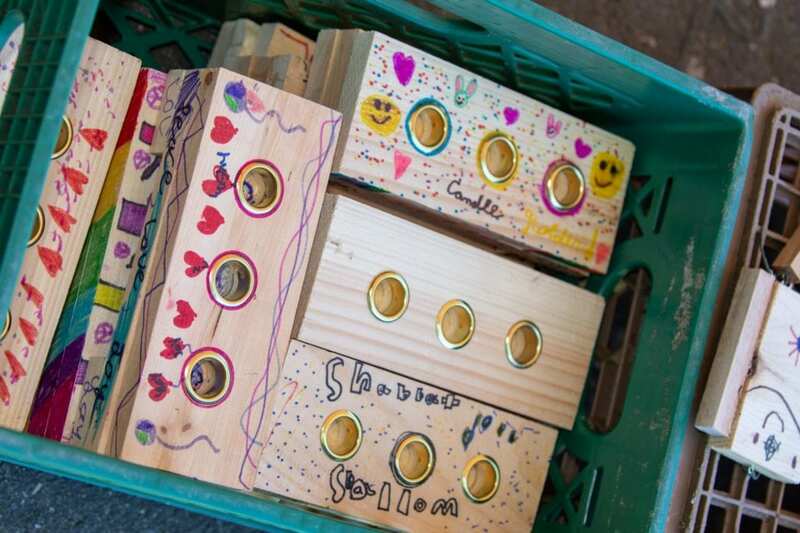 Children learn new techniques for artistic fulfillment. 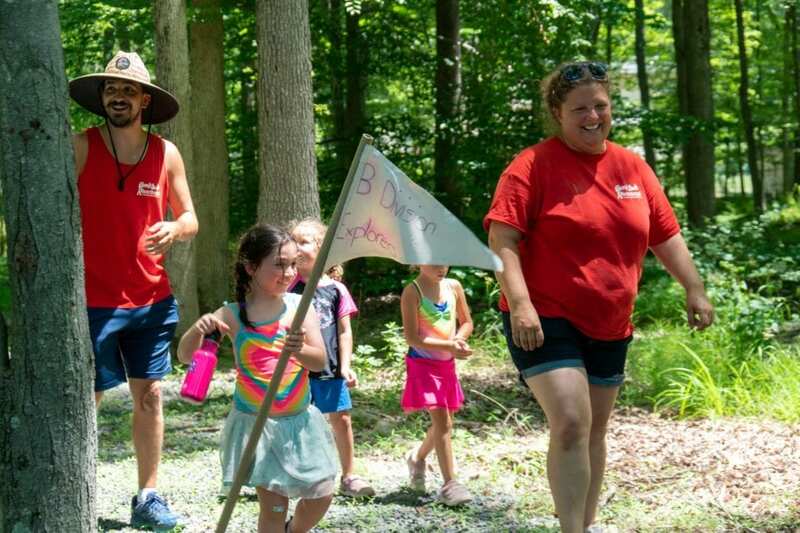 The Nature program at Camp Riverbend introduces campers to the wonders of the world around us. 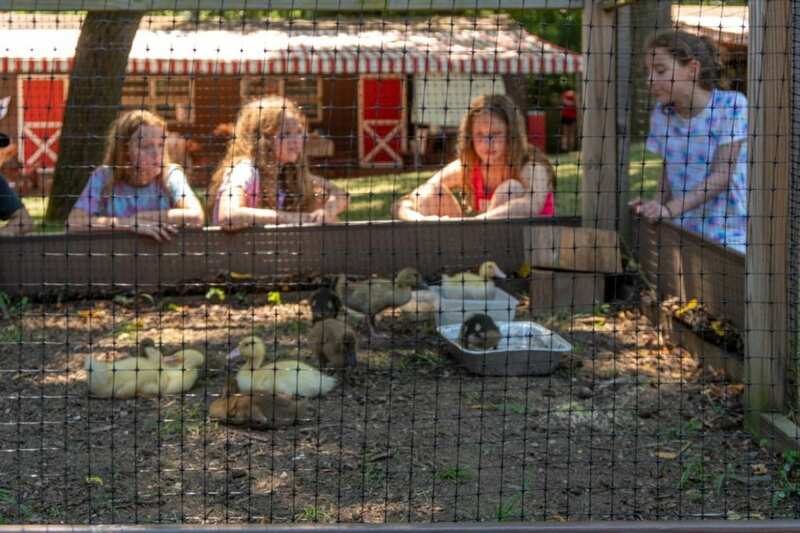 We explore birds, animals, insects and plants in the various habitats throughout our camp site. 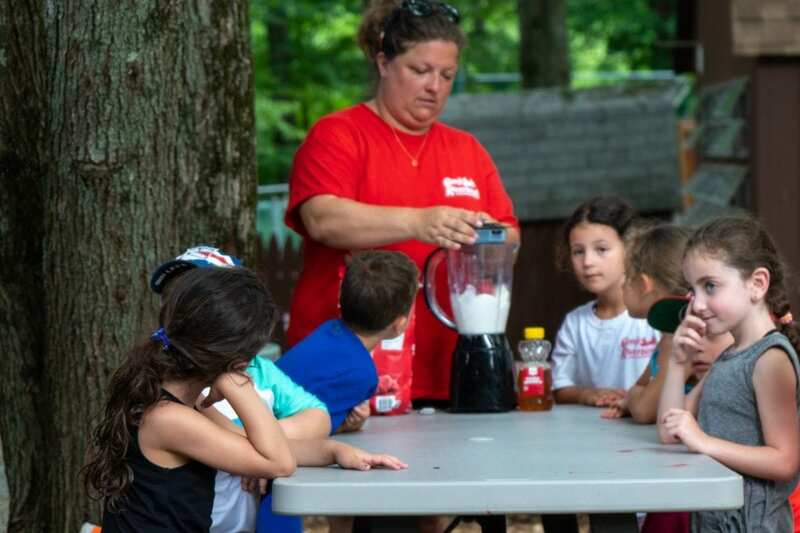 Campers do basic science experiments to learn about wind, the sun, water and soil. 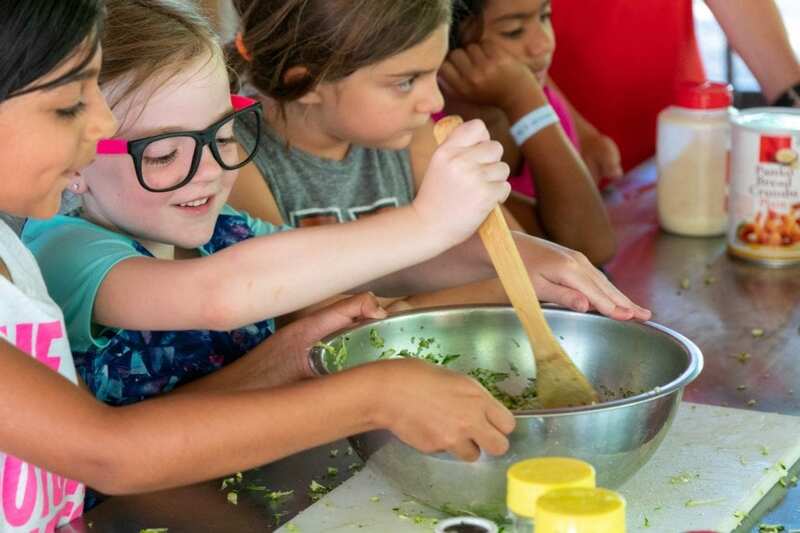 Our Nature program encourages campers to treasure the natural world and take care of it through conservation, recycling and smart energy use. Camp is a great place for children of all ages to explore theatrical arts. Our Performance program introduces campers to many techniques of performance, including improv, mime, puppetry, movement, directing, and working with props and costumes. It takes place in our brand new Studio, a 40 x 60 building that’s fully air-conditioned, plus has a spacious shaded porch all along one side. 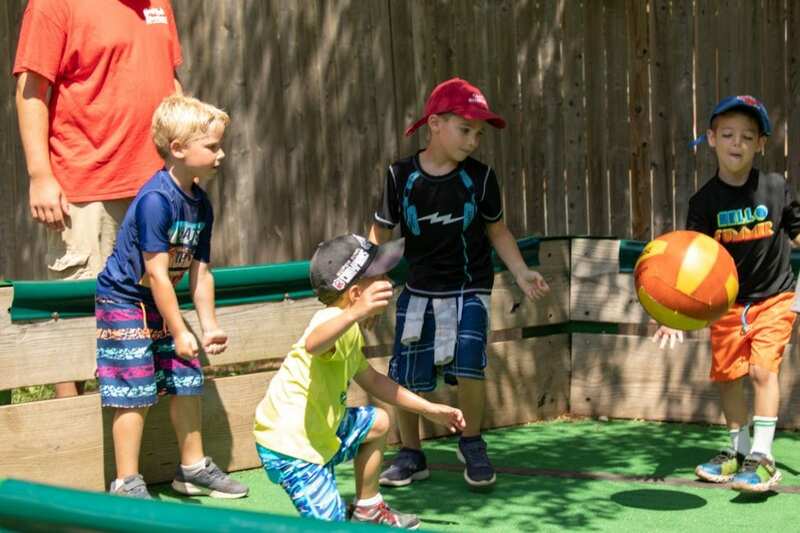 Our Game Pavilion is the place where campers play ping pong, foosball, air hockey, bumper pool, knock hockey, billiards and other table games. Campers may go to the Game Pavilion instead of free swim in the afternoon. The Game Pavilion is continually supervised by at least one counselor. 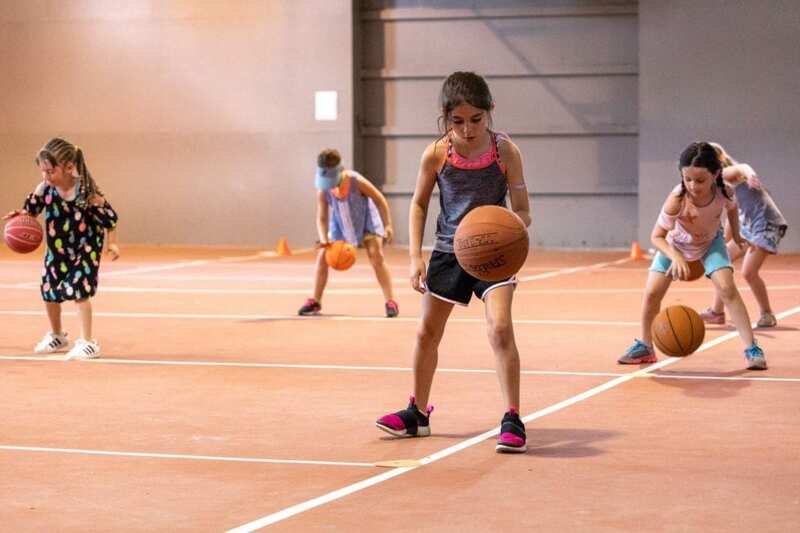 We have plenty of indoor and air-conditioned spaces in case of rainy and hot days: the Studio, the Big Barn, Auditorium, Roller Rink and dining pavilion. 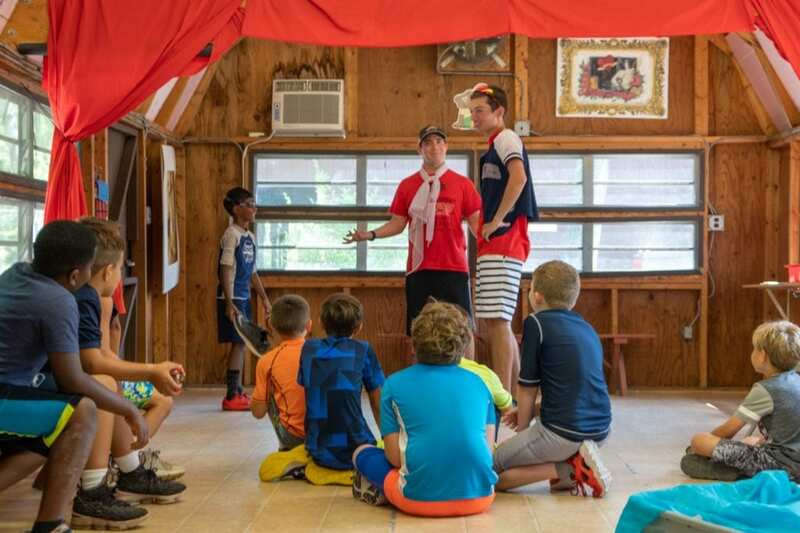 Each group has a locker room, where campers change into and out of their swimsuits, and where the group can be indoors when the weather is rainy. Many program areas are sheltered by tents or awnings. Many of our indoor locations, including all Clubhouse cabins, are air-conditioned.